Nacer Djabi is a professor of sociology at the University of Algiers II and researcher at the Centre de recherche en économie appliquée et développement (CREAD). 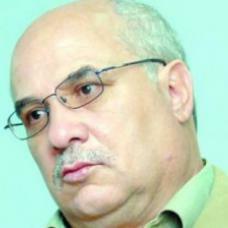 He is the author of several works, including El Wazir el-Djazaïri: oussol wa massarat [The Algerian Minister: Principles and Paths] (2001), Algérie: Etat et élites (2008), and Limada ta’akhara ar-rabïe el-Djazaïri? [Why is the Algerian Spring late?] (2012).